This is the replacement leatherette ear cushion for use with the GN Netcom / Jabra 9120 and 2100 Series headsets. 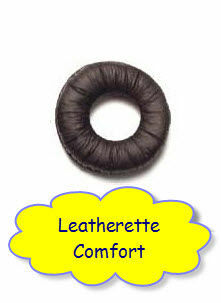 One Leatherette Ear Cushion per pack. It is recommended that, for hygienic reasons, Ear Cushions be replaced at least every 6 months.